RR 2019 SAVE THE DATE! The Recycled Rain Project is a PNW based invitational art show creating original works using rainwater to raise awareness of water issues. Since its first show in May 2012, The Recycled Rain Project has been dedicated to its mission to increase awareness of local artists and to engage and educate the community on water issues. Each spring a group of Portland artists come together to create original works with collected rainwater. This all leads up to the big event, which takes place the first Saturday in June. A portion of the sale of all works from RR2019 will be donated to Columbia Riverkeeper. 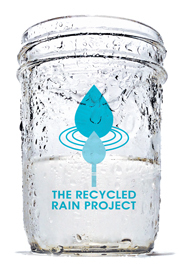 Over the last seven years The Recycled Rain Project has supported over 100 local artists and have donated over $3,500 to non-profits that focus on a variety of water issues.